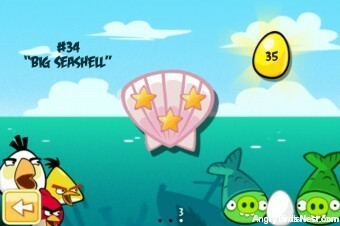 Here is the most thorough Angry Birds Seasons Golden Eggs guide available anywhere. To make it easy to follow we’ve broken down all the Golden Eggs by episode. Remember there is a video walkthrough for each Golden Egg that shows its location (how to unlock it) and how to obtain the star. 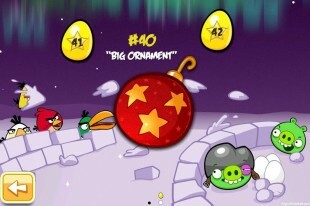 Starting with Angry Birds Seasons v1.4.0 (Easter Eggs!) 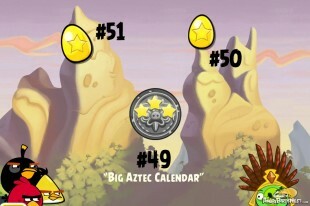 all the Golden Eggs in Angry Birds Seasons are number sequentially across all episodes. (As of v2.0.0 (Ham’o’ween) the numbering has been removed completely.) Below is a list of all the Golden Eggs that are currently available in Angry Birds Seasons (special thanks to AMslimfordy for compiling this list). If you’re having trouble finding one or more of the Golden Eggs you can get to the walkthroughs above — which are broken out by episode — or below by clicking the respective link adjacent to the Golden Egg number. Android users: If you check your Golden Egg screen, there is a blue “Intel” egg which has four new levels from the Intel Ultrabook web game. Our walkthroughs for these levels can be found here. 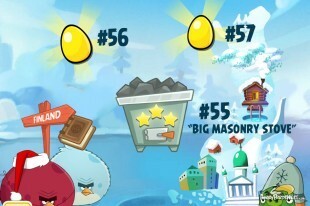 Note: Seeing how many Golden Eggs there are now in Angry Birds Seasons we’ve decided to no longer update this log since the walkthroughs are easily accessible through the images. Hi! I love this site! You’re walkthrus have helped me huge! 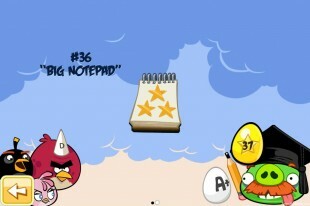 I’m playing AngryBirds Trilogy on nods and have found a couple of odd things. 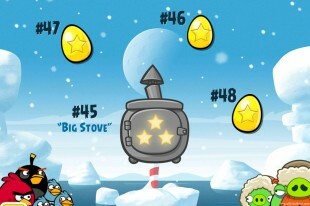 1. egg 20 is level 14-4. I hit the golden egg and see the explosion, but it doesn’t award me. Next time I enter this level, the egg is back. 2. I’ve gotten all 8 mooncakes but still can’t access the big cake. 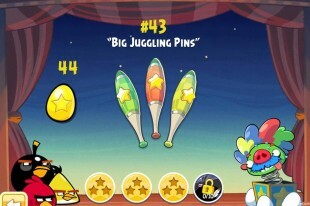 3. on the 2nd screen of rio, after trophies, are golden eggs. What are these? thanks so much for any help you can provide. Lori. I just downloaded seasons and was wondering how to find walkthroughs from the very beginning? I’m very new to electronics including YouTube etc Any advice on what to type and where to type it would be greatly appreciated! Hello and greetings from Finland! I hope you guys could help with this little problem i have. I don’t know what has happened, but I can’t find two golden eggs anywhere in trilogy seasons. They are #18 and #19. Would someone please be so kind and tell me the location of these two golden eggs? I already have 3 stars on each level of the whole trilogy and all the feathers too. The game is almost completed, but these two golden eggs locations makes me go crazy. Thanks! Is there going to be a seasons update for Halloween and Christmas? 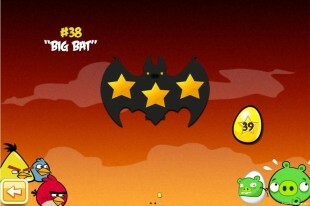 No ABS update for Halloween, Rovio announced. Nothing has been said about Christmas at this time. Where is the golden egg of Free version? No GEs in a ABS:Free. It was a misprint in the description. I’ve gotten 3 of the 4 GE’s, but for some reason only 2 are showing up on the last page (with the chest). I’ve gone back over the areas and all 3 are gone so obviously I got them, but they’re not showing up. Any idea what might be happening? The two on the right of the stove are there, but the first one is not so I’m assuming that’s #46 if it goes in order—-the one which was located on the glacier. Sorry,Slim, it’s #47 the one in the cave that is not showing up. Just got done with playing surf and turf and golden eggs is next and I’ve been looking for walkthroughs and nothing seems to match the screenshot I’m getting the closest I got was one screen but the number one on mine is a question mark. I also clicked on ? Red bird in the corner but nothing happens ….. Please Help…. Yes… Thank you, I saw that already, but my screen where the number one is on the guide is a question mark, this is why iam confused please advise…. Pause any level and press the “?” (help) button in the bottom left hand corner. The Golden Egg will be on the White Bird instruction screen. Note, you have to have unlocked the White Bird before the White Bird instruction screen will appear. Click on the link Bob, all the walkthroughs are there. That lists 3 walkthroughs, 2 golden eggs + big tiki. But the image on this page shows 2 golden eggs + big tiki + small tiki. The small tiki is a sprite in the background. There are three numbered golden eggs.